32.04.002: Whitbourne. 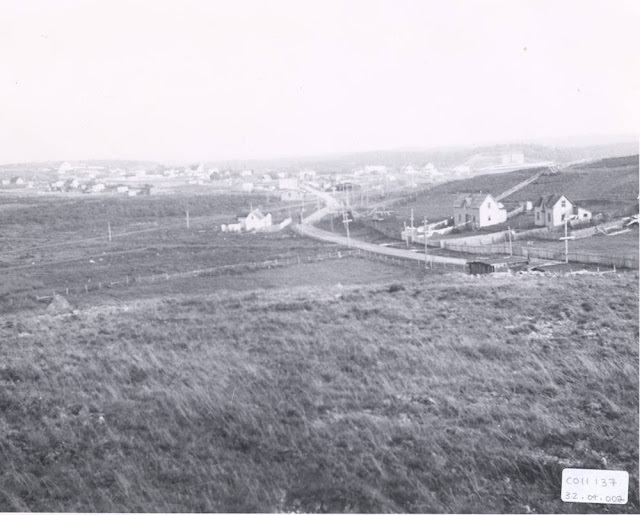 "Whitbourne 1937" a view of Whitbourne. Geography Collection - Historical Photographs of Newfoundland and Labrador. Memorial University of Newfoundland. Libraries. Archives and Special Collections Division. As part of the Collective Memories project the ICH office is showcasing community material which has been placed on Memorial University's Digital Archives Initiative. Check out this interview which is part of a series of filmed oral histories, collected in 2005 by the Baccalieu Trail Heritage Corporation, from over 40 elders who grew up in the area. The Baccalieu Trail HeritageCorporation is a not-for-profit organization dedicated to preserving, promoting and protecting the heritage of the Baccalieu Trail Region. This project includes memories of living and working in the area, going to school, children’s games, home remedies, the first modes of transportation, supernatural beliefs, traditional industries and calendar customs and celebrations. This interview is with Winnie Gear of Whitbourne, NL. The interviewer is Linda Cooper. The camera was operated by Robin Baker. The video was edited by Mike Ryan and Darrell Barrett.